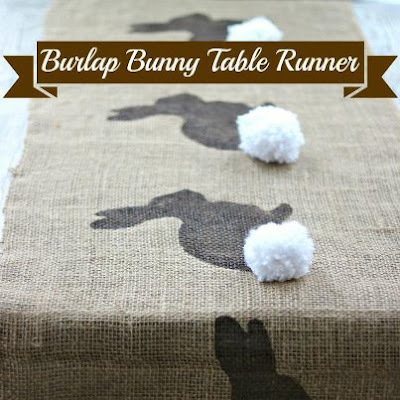 I found the most adorable burlap bunny table runner on Kelly's Eclectically Vintage blog. I love it! Two weeks ago, I did a post on making burlap bunny ear napkin rings which you will see below. 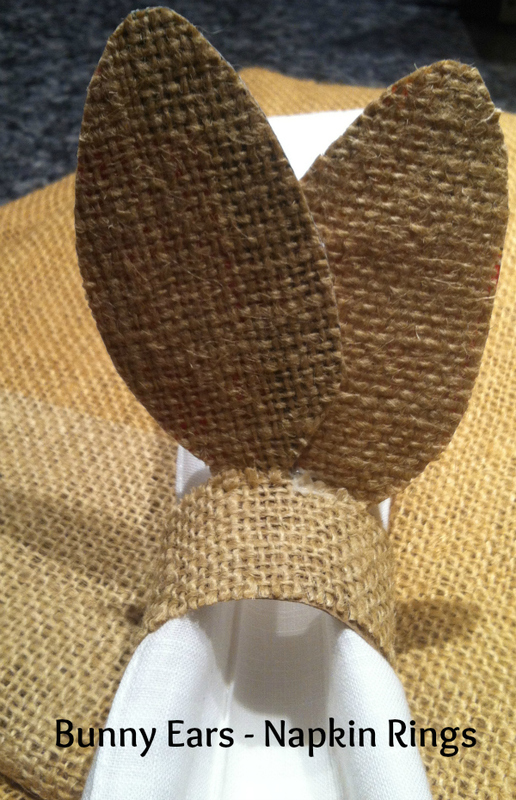 I think the table runner will look so sweet with the burlap bunny napkin rings. Thank you Kelly for allowing me to post your photo! If you've visited Pier One recently, were you greeted with these hippity hoppin bunny ear napkin rings? I was there yesterday, and they were so cute sitting on the table that greeted me at the front door. The top photo is from the Pier One website. Here are mine. I need 16 napkin rings for our Easter dinner, so I opted to make my own at a fraction of the cost. I'm sharing this now so you have plenty of time to make your own if you wish. I cut toilet paper rolls into 1" rings and glued burlap on them with Elmer's glue. For the ears, I used cardboard from a cereal box, and glued burlap on them. I made a tab on the bottom of the ears so I could glue them to the inside of the napkin ring. That's it. So easy. Any questions, just let me know. Thank you for stopping by by. 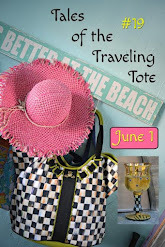 I will be joining Kathe with an E for You're Gonna Love It and Stonegables's Tutorials, Tips and Tidbits. 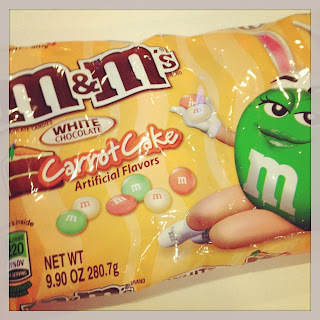 Before you go, some of the Walmart stores have the Carrot Cake M & M's for Easter. Would you buy these? What a great idea to create these adorable napkin rings. I love them! Thanks for sharing in time to do a project before Easter. Very clever, my friend!! These will be adorable on your Easter table! So cute! Perfect for Easter! LOL I saw these in there yesterday. How clever of you.....I can't tell the difference! These are adorable - you are right, they would look amazing with my bunny table runner! Pinning these! How creative your are. What a nice set these make with the table runner. Thank you for telling us how to make them too. They are so sweet. Love your napkin rings and your runner! Really adorable and homey. These are beyond adorable! I saw that runner on Pinterest, and how fabulous you thought of napkin rings to coordinate. Thanks for stopping by from Kathe's! Oh my goodness! This is the cutest idea. 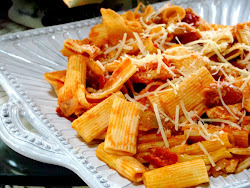 I am going to have to make these... thanks for the easy-peasy tutorial! Thanks for bringing the cuteness to TUTORIALS TIPS AND TIDBITS! Oh these are the cutest napkin rings I've ever seen. They will make a great Easter table. Adorable! I saw these at Pier 1 but thought I would make them also, so I'm thrilled that you figured it out for us! Such a cute idea for a table runner! 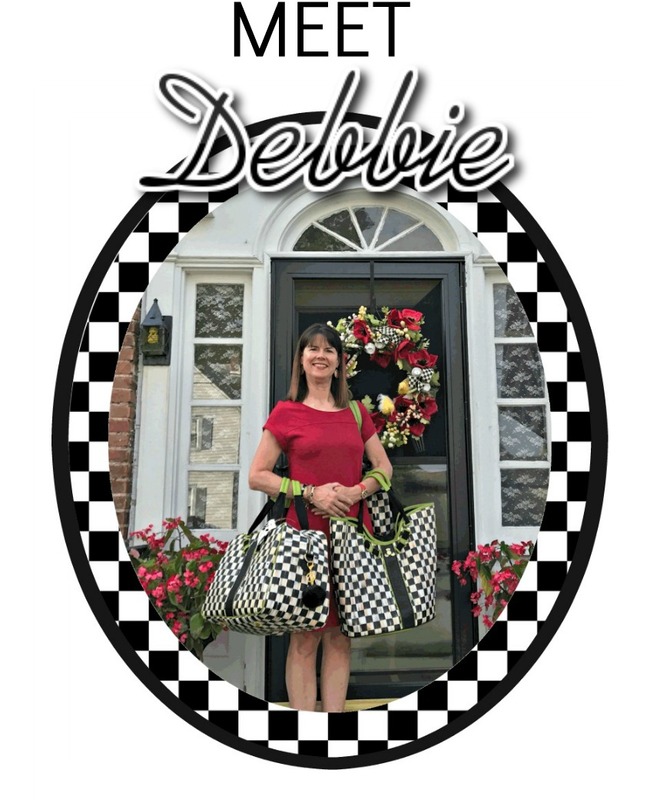 Perfect with your napkin rings, Debbie.